Russia started a full-scale military training in the occupied Crimea. This is reported by 112 UA TV Channel, quoting the Defense Ministry of Russian Federation. Command-staff exercises of the battle shooting of the Russian Airborne Troops takes place on the Opuk polygon. 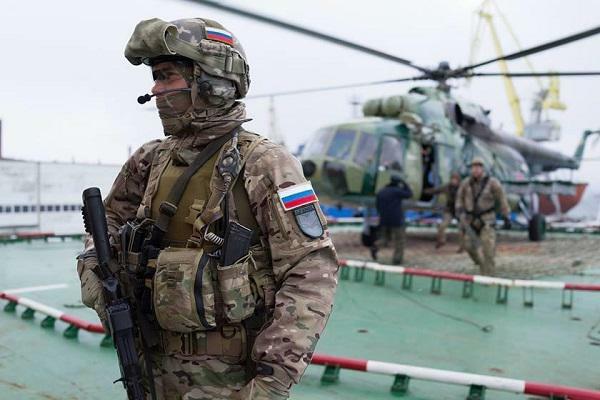 “Units of Novorossiysk landing and assault division, detached landing and assault brigades, some Black Sea fleet and Air Forces units partake in the training. For the first time in the history of the Russian Armed Forces three units of the Russian Airborne Troops will participate at the same time in the training,” the message says. Over 2,5 thousand paratroopers participate in the training, as well as more than 600 military hardware units.